Our goal is to provide a fun and safe environment with the staff at Cheshire Fitness Zone. 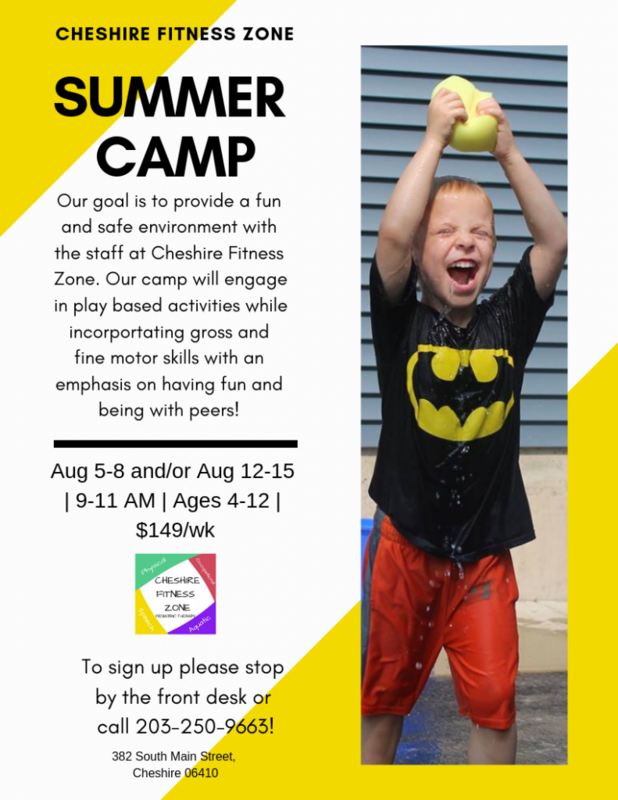 Our camp will engage in play based activities while incorportating gross and fine motor skills with an emphasis on having fun and being with peers! Camp will run August 5-8th and August 12-15th from 9-11 AM for ages 4-12. Price per week will be $149. Please sign up at the front desk or give us a call! 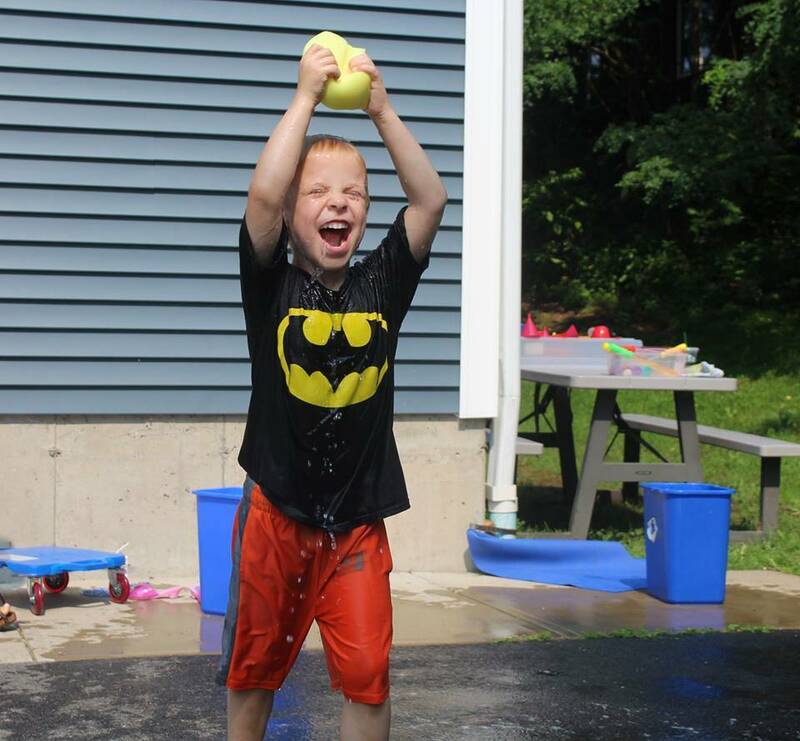 Stay tuned for more summer programs to be announced!